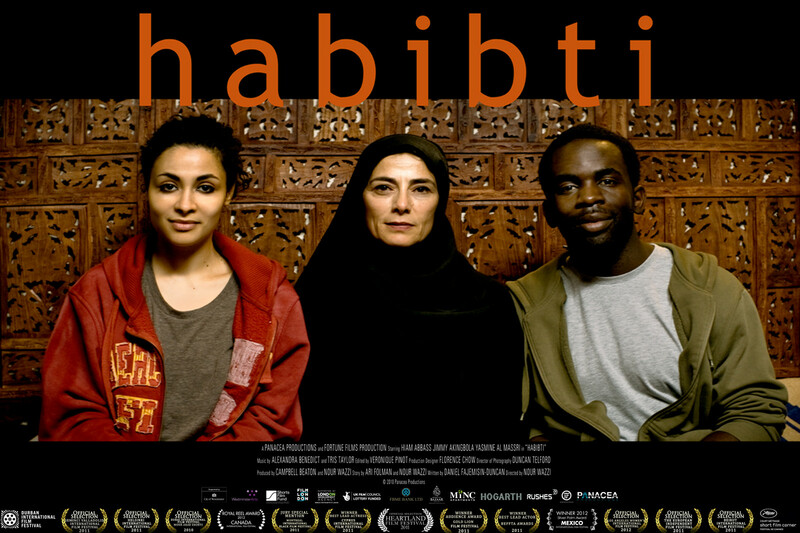 Habibti follows Iman (Hiam Abbass), a conservative Arab woman who travels to London to visit her estranged daughter Amira (Yasmine Al-Massri) only to find her living with her boyfriend… a black artist named Marlon (Jimmy Akingbola). Their conflict brings humour and with it an unlikely bond. The score by composers A.K. Benedict & Tris Taylor uses instruments from Africa, the Middle East and Europe (qanun, piano, duduk, darabuka and tongue drum) to reflect and deepen the film’s characters and narrative.